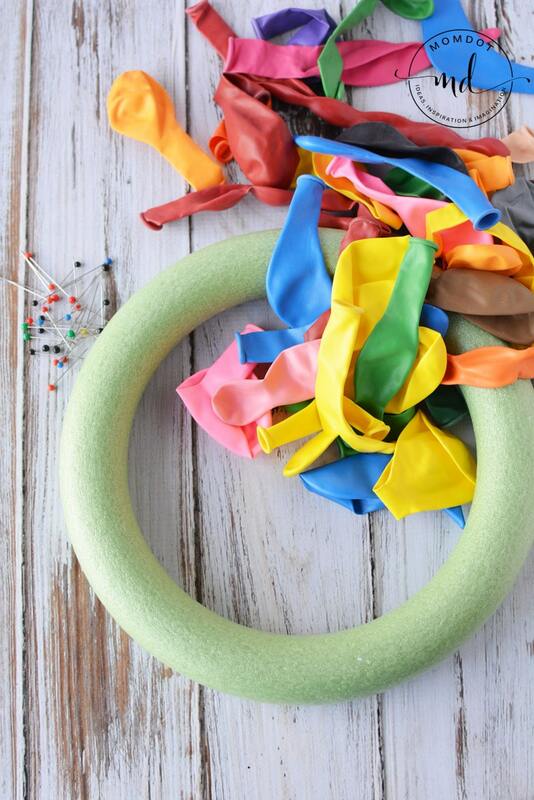 How to make a Balloon Wreath with this DIY Wreath project, perfect to announce a birthday! This wreath is so easy and is a lovely addition to an indoor or outdoor door to announce a party. Grab full tutorial below with this fun craft. Plus check out other awesome wreaths like this DIY Christmas Wreath or this Halloween wreath idea with cupcake liners! Both of these DIY crafts are fabulous and can be customized to your colors outside of the holidays. 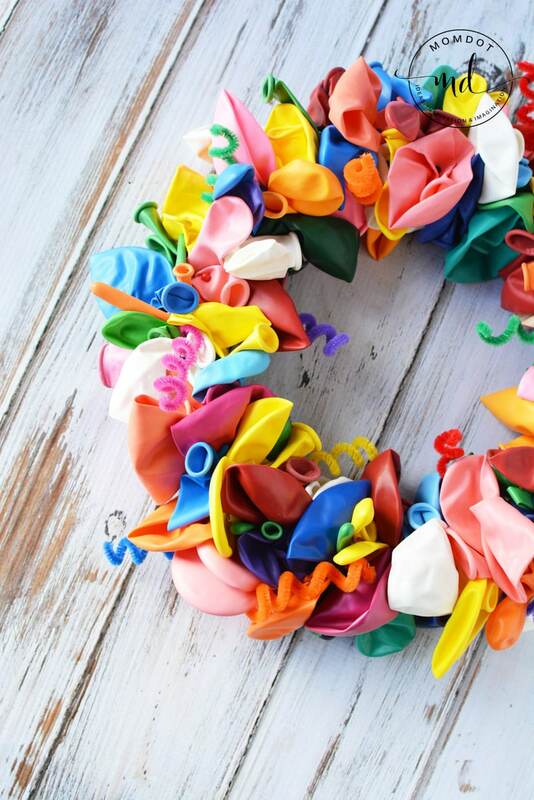 This festive Balloon wreath is so adorable. 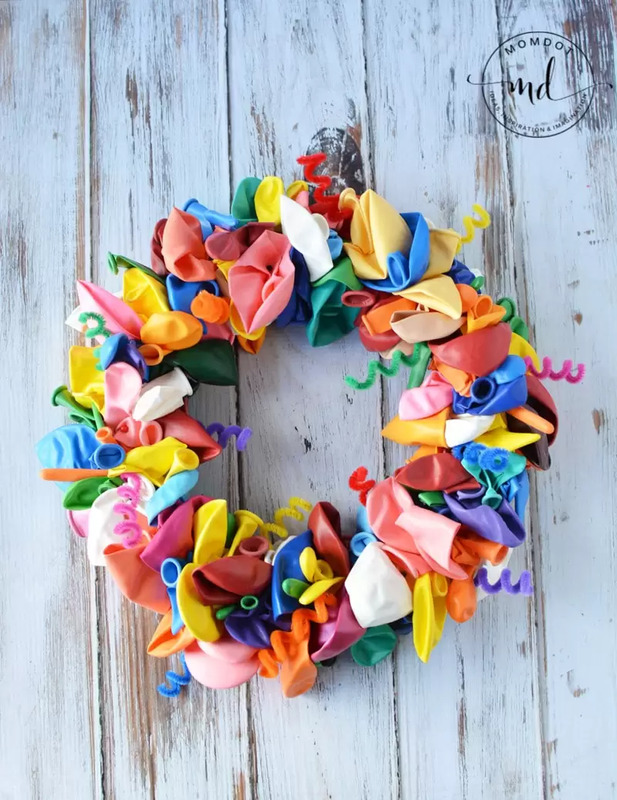 Made with balloons and cute little pipe cleaners that are curled up, its probably one of the easier types of DIY wreaths! This also would look cute using the same idea but on a table as a centerpiece. Feel free to adjust the sizing by purchasing a larger wreath form and adding the amount of balloons you need. 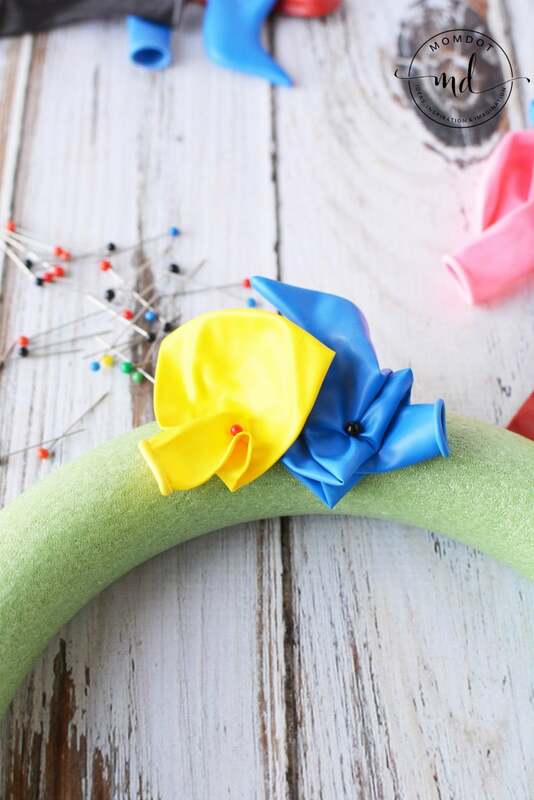 Place balloons onto wreath by sticking a straight pin into them. Depending on the balloon, I found it easiest to fold the balloon in half and stick the pin into the neck of the balloon or just above the fold. If the balloon is bigger, you’ll need several folds. Then press the pin into the wreath form firmly. For some of the longer balloons, I folded them in half and stuck in the pin in the center of the balloon. 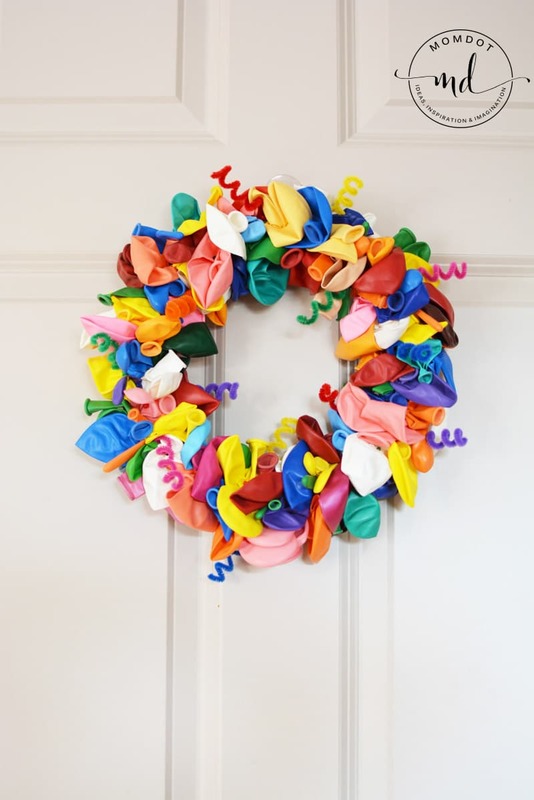 Continue to place balloons on the wreath form, next to one another, but rotating the position of the balloon until the entire wreath is covered. This wreath looks awesome by itself but super cute when it has other birthday elements to it. I like doing pipe cleaner curls as they stay that way and have a really finished look. But you can use ribbons like left over curly ribbon from holiday wrapping. If you head to the Christmas wreath, you can see an entire wreath we made with that. 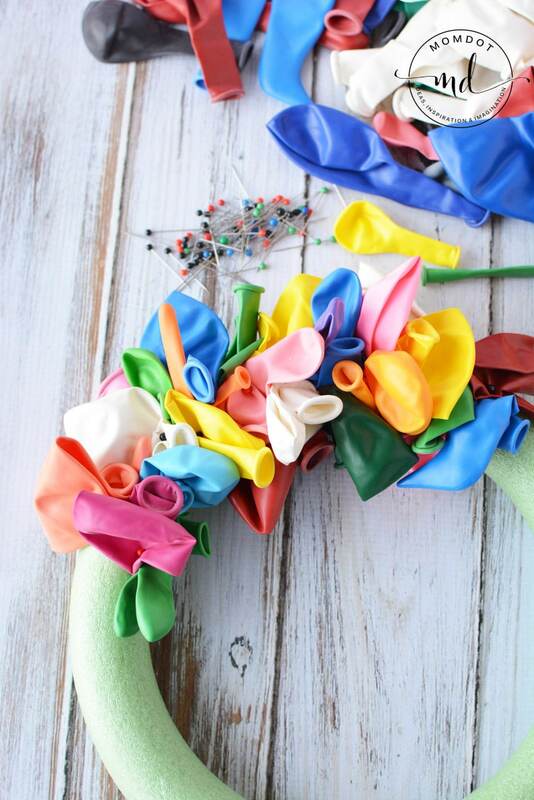 A good mixture of those curly ribbons and balloons would be a fun way to cover a larger wreath. Cut each pipe cleaner in half with diagonal cutters. Wrap around the barrel of a pen to create a spiral. Fold the end so you have a tiny loop. Place a straight pin into the loop and place into the wreath form. Repeat until you’ve added all of the pipe cleaners. Well I sincerely enjoyed reading it. This article provided by you is very effective for correct planning.